Cartago may be the most historically significant city in all of Costa Rica, yet doesn’t typically make a traveler’s itinerary. This old city, once the capital of the country, has gone through a long and rough history, but now is the very pleasant residential city to well over 200,000 local community members. The city has grown into a pleasant yet booming urban capital. Its placement in the Central Valley, just north of San Jose, makes it a convenient and enchanting place to live, but the lack of shore lines keep tourists away. If you do find yourself crossing the Central Valley at any point, make sure Cartago isn’t passed up. 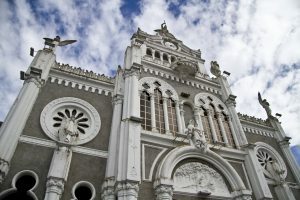 While you make your way from the Pacific shore to the Caribbean coast, plan a full day in Cartago. You’ll have plenty to do and can avoid a lengthy, tedious road trip. 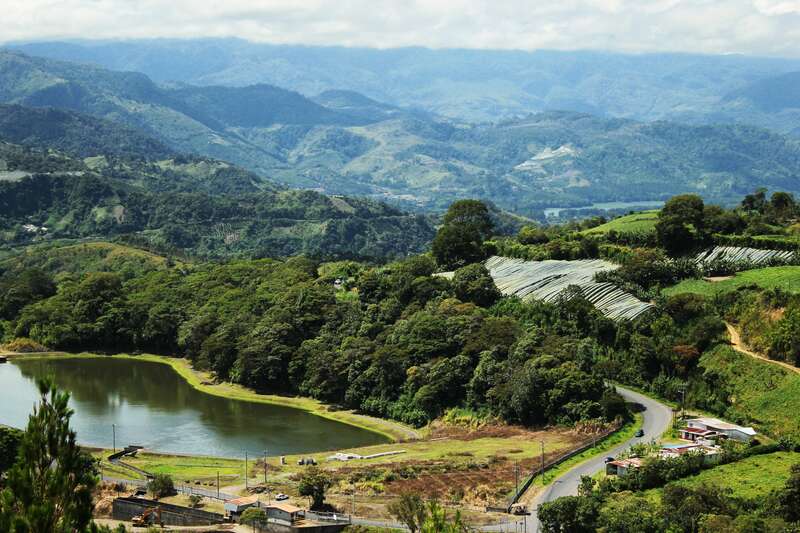 Add Cartago to your next visit’s itinerary, you’ll be glad to see it for yourself. You only have one day in this beautiful, hilly city, and you should spend it exploring. You can walk the streets, visit the markets, and check out the numerous ornate churches, but if you want to add a bit more adventure into your stop, consider taking a half-day trip. 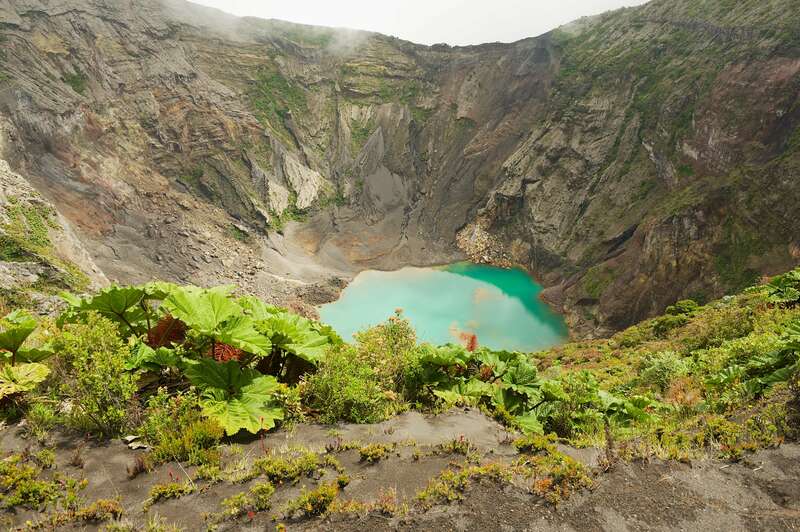 Rise and shine early on your Cartago day, and make your way to the Irazu Volcano. Countless local tour operators will offer a half day trip, typically with a guide and transportation included. This active volcano is unsettlingly close to the urban Cartago city, and still produces “hiccups” of smoke periodically. Your tour guide will bring you to the base of the volcano and you’ll start your climb up. The hike is neither long nor extremely difficult, making it a favorite adventure destination for local families with young children. The climb will be cloudy near the midsection, but once you break through the fog you’ll have the most incredible view of the gaping, active crater. The descent will be just as exciting, while you get a full view of modern Cartago and the ancient ruins. This will be a fun, active day for the whole family, and you’ll arrive back in Cartago just in time for a hearty lunch. If you don’t want to be incredibly active during your Cartago day, stick around town and use your morning to visit the Lankester Botanical Gardens. Even those in your travel group less excited about gardening and flowers will have an incredible time in this rare park. This world-famous garden has one of the largest varieties of orchids on Earth. Regardless of when you visit, hundreds of varieties will be blooming. With over 26 acres of protected park, you won’t have time to see it all, but you’ll have enough opportunity to fill your head with vibrant colors and exotic petal shapes. 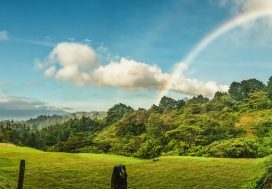 You’ll spend your morning walking around one of the most biodiverse parks on the continent in the perfect Cartago climate, so regardless of your interest in flowers, the morning will be a success. 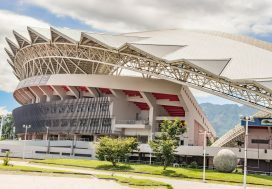 Whether you walk around the city, visit the Irazu Volcano, or spend the morning at the Botanical Gardens, you’ll be ready for a filling lunch. Luckily, Cartago residents love their traditional food, so you’ll be able to get top-quality, portion-heavy meals featuring local recipes. For lunch, head to the La Casona del Cafetal Restaurant. This coffee plantation offers a quality restaurant with an out-of-this-world view, the perfect opportunity to kick your feet up and relax after an eventful morning. You’ll have a huge menu of local dishes to try, featuring anything from fresh fish to steak, with all the Costa Rican side dishes you can imagine. After your lunch, you’ll ask for a dish of coffee flan and a cup of local coffee, planted, harvested, and roasted all on site. You’ll enjoy the lake view, fill your stomachs, and get the caffeine kick you need to continue with the day. After your afternoon activities, you’ll have time to head to the hotel for a quick shower and change before leaving for dinner. From there, head to Mi Tierra Restaurant. This fun, Latin restaurant will serve you the best Latin food you’ve ever had in your life. The locale is simple, but the staff is top-notch and the cooks are well-trained. Try a “casada,” the local favorite. A casada features rice and beans, a veggie salad, and a big cut of your favorite protein, typically beef, chicken, or fish. Everything will be flavored with lime and tropical seasonings, and a cold beer will wash it down perfectly. All meals come with hot, fresh tortillas and pain-staking care. This stop could possibly be in the early morning, or possibly mid-afternoon, but eventually you’re going to want a coffee and pastry pick-me-up. For your fix, head to the Swiss café, Backerei Café y Panaderia Suiza. This local coffee shop is owned by Swiss immigrants to the area and is one of the locals’ favorite breakfast joints. You’ll have access to local, fresh coffee served with hand-made buns or pastries. You’ll also have an entire breakfast menu with fruit salad, gallo pinto, and substantial breakfast plates. Grab your coffee and chocolate pastry and head out to their outdoor seating area to enjoy the view. Later that night, after the day’s events and dinners are done with, head to Wood’s Pizza and Beer Garden for something a bit harder. This beautiful indoor/outdoor restaurant has a great bar, and you’ll be able to order local rum, tropical cocktails, and great beers. If you’re lucky, there will also be live music and as always, a festive atmosphere. Try a local micobrew and enjoy your well-deserved happy hour. Your adventure is planned and your meals are written into your itinerary, but you still may have some hours left in the afternoon that are unaccounted for. If you want a full day, take 2 hours from your afternoon to learn about the region. Head to the Cartago Ruins. You can see the skeleton of the old city, strong as ever. Walking through old, crumbly buildings and reading the accompanying sign posts will teach you about the old days of Cartago as the capital of Costa Rica. You’ll learn about the political leanings, culture, and development of the area you now know. This will be interesting to any history buffs, and the views of the old ruins will be exciting for anyone in your group. Afterwards, head to the Basilica of Our Lady of the Angels, in the center of town. Built in the 1920’s, this Catholic Basilica is intricate and ornate. The ceilings alone will leave you in awe, but you’ll need to lower your gaze and check out some of the more historical artifacts. Cartago, above all else, is known for “La Negrita,” or a statue of a dark-skinned Madonna. This in itself is unique, as the Madonna is typically portrayed as lighter skinned. Here, the artist created a version of the Madonna intended to slightly resemble a Costa Rican woman, earning her the adoration of the country. This statue will be kept in an ornate, gold case inside the Basilica. With only one day you will have explored Cartago’s natural assets, historical significance, and will have tasted the best local meats and coffees. This destination may not have been on your original itinerary, but we’re willing to bet that it will be a highlight of your trip.